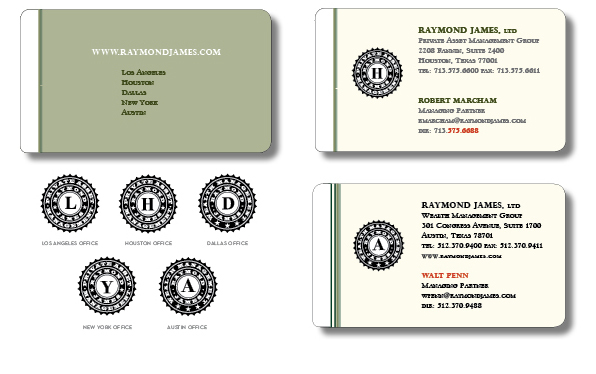 Raymond James identity, based on currency symbology. Visual versions to identify each of the five cities where the firm operates. Produced for Dandy Idea.